The Mook List | mookology. 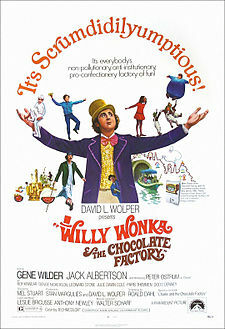 Why you might disagree: In “mook” terms this movie didn’t follow the novel it was adapted from, Charlie and the Chocolate Factory by Roald Dahl, very well…. OK, so it barely followed it at all, and was more of a mash up between the two books Charlie and the Chocolate Factory and Charlie and the Great Glass Elevator. The 2005 Tim Burton directed “Charlie and the Chocolate Factory” which starred Johnny Depp as Willy Wonka followed the book much more directly in almost every way… but I just don’t think it holds a candle to it’s predecessor. Roald Dahl was one of my favorite childhood authors and I did love the ‘Charlie’ books. But in my opinion, the new movie was too high-tech and flawless for me. I prefer the original, but not I know not everyone agrees. Why it worked: This story is one of the only things that I remember standing out to me in Middle School. The Outsiders by S.E. Hinton was assigned to my seventh grade English class and I immediately fell in love with it. I distinctly remember reading past the assigned chapters and reading intensely into the night, enamored by the world of Ponyboy Curtis. 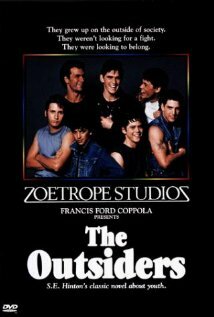 The movie “The Outsiders” was something we watched in a grade-wide assembly, and these characters came alive on screen in a prolific and wonderful way, acting out scenes almost exact from the book. To this day, I can still recite Robert Frost’s “Nothing Gold Can Stay” verbatim. Why you might disagree: To be honest, I don’t know. I fell in love with The Outsider’s and everything about it, both the book and the movie. One thing from the movie that was maybe a little hokey was the stereotypical costuming of the Greasers and the Socs. The Greasers were VERY greasy and Soc’s were super clean-cut. Otherwise, this film was filled with up-and-coming stars (C. Thomas Howell, Rob Lowe, Tom Cruise, Emilio Estevez, Patrick Swayze, Diane Lane, etc.) and was an important movie for it’s time. Why it worked: This novel was made to be a movie. It is cut-throat, riveting, and ridiculously suspenseful with amplified characters and a great story. Larsson was immersed in the world of his writing, which made for a great film platform for David Fincher. 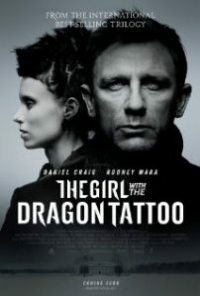 Because of impeccable casting and great screen writing, “The Girl with the Dragon Tattoo” became a box office sensation. You can read my full mook review on “The Girl with the Dragon Tattoo” here. Why you might disagree: This movie has some obvious deviations from the heavily-detailed novel (changes I thought were appropriate, but not everyone feels this way). Some critics felt that the film was too impersonal for the viewer to connect to the characters. Some viewers felt the very intense and violent scenes were too much for the big screen. Additionally, some fans of the book prefer the Swedish films, however I cannot comment on this because I have not seen them. Whenever I come across a great article or list of successful mooks I make it a point to blog or tweet about it. The best mooks out there deserve as much recognition as they can get and I often find that people don’t even realize some awesome movies were a book first. My good friend Alex (@THE_ALEX_ROCHA) suggested I share a list of my own, considering my devotion to mooks and knowledge of many of them. So, I am starting a series of posts called The Mook List which start at #10 and end with #1 (with maybe a few honorable mentions here and there). Please share your feedback, as always! Why it worked: This is how my love of mooks began. Sure, I had seen book-to-film adaptations before the Harry Potter franchise, but no movie ever had me stunned with its perfection. To this day, I will argue that Sorcerer’s Stone is one of the best films of the series purely based on how true it stays to the book. 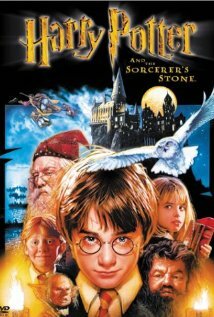 As always, there are minor changes, but this movie made Harry Potter what it is today. Everything–the set design, the costumes, the casting, the make up–was 100% on point and this movie represents all that a mook should be. Why you might disagree: Huge fans of Harry Potter tend to prefer the darker part of the series as opposed to the youthful, cheery first installments. That being said, I almost feel that as the movies went along they became more of a disappointment, while leaving Sorcerer’s Stone behind with its PG rating and 10 year old lead actors. Some fans also hated Chris Columbus’ directing in Sorcerer’s Stone (as well as Chamber of Secrets) and may not find this movie as delightful as I did.